Duncan at the Warner Bros. Lot in Burbank, Californie, in Januar 2009. 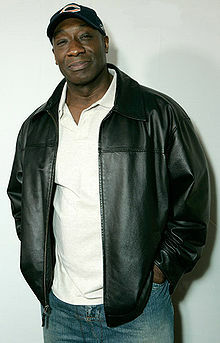 Michael Clarke Duncan (December 10, 1957 – September 3, 2012) wis an American actor. This page wis last eeditit on 7 Apryle 2017, at 03:15.